Congratulations to Tilbury's Shane Forbes whore rode to an immaculate 15 point maximum to win the Juvenile Jaunt today. Congratulations indeed to Shane Forbes. He wasn't one of the favourites to take the title but rode superbly on the night for his 15 points. 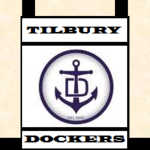 At last some good news for Tilbury, the way we have rode this season he wouldn’t look out of place in our side. The kid is a star of the future.